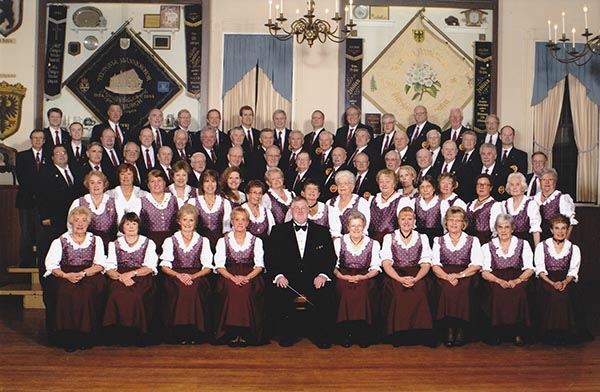 The Teutonia Männerchor (Men's Choir) and Damenchor (Women's Choir) are the heart of the Club! It is to support these talented men and women that the Club was formed in 1854, and it's been our privilege to be their home ever since. While the choirs both sing in German, you don't have to KNOW German to join. It is fairly easy to learn the songs regardless, and the choirs would LOVE to have you join them! To see details about each of the choir groups, visit our Choir Detail Page for members and larger photos. 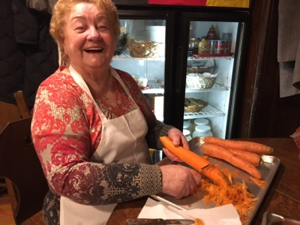 As Oktoberfest season comes to a close we give thanks for all of the hard work done by the club's board, staff and volunteers to create a great atmosphere and wonderful experiences for both club members and their guests. 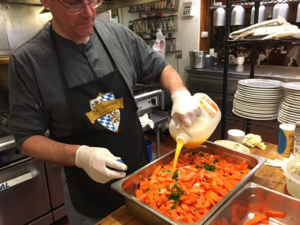 The Oktoberfest events are a highlight of the Teutonia calendar each year, and are always filled with special moments. Those warm feelings are highlighted by the frequent rallying cry that urges the crowd to stand up and raise their beers, "Ein Prosit, ein Prosit, der Gemütlichkeit!" If you were at one of this year's Oktoberfest events, you likely took park in a few of these toasts before drinking a healthy "Schluck" of your "Bier". The word Gemütlichkeit is one of those instances where the German language is able to express with a single word what might take an entire sentence or paragraph to express in English. When we raise our beers and repeat, "Ein Prosit, ein Prosit, der Gemütlichkeit” it's an exaltation to celebrate the joy and great feelings of the moment. Gemütlichkeit encapsulates those cozy feelings and that good cheer everyone feels during magical moments at Teutonia, as during the Oktoberfest events. We all know that special feeling denoted by the word Gemütlichkeit, and that's a great reason to keep on supporting Teutonia and participating at the club all year long. 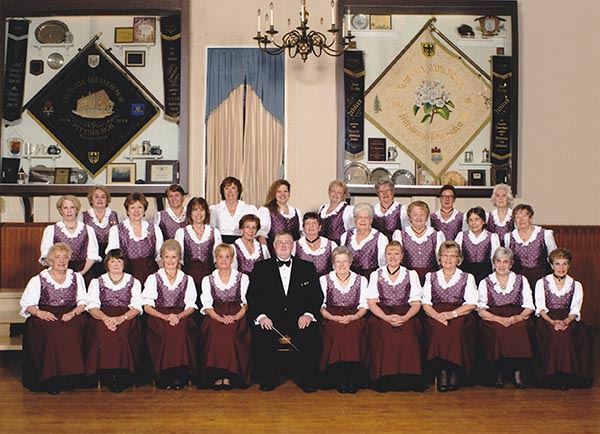 During November there are two excellent opportunities to enjoy that same feeling of Gemütlichkeit at Teutonia, along with your Men's and Ladies' Singers. On Sunday, November 5th from 1pm-6pm (or until we sell out of food!) the Singers are holding our Schnitzel Dinner Fundraiser. 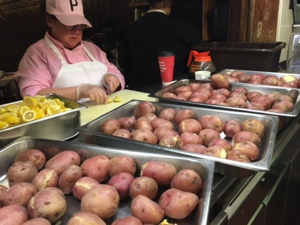 The men and ladies of the choir will prepare the food, and also be doing duty as the wait staff and clean-up crew. The price is $15 for adults and $7.50 for children under 12 years old. 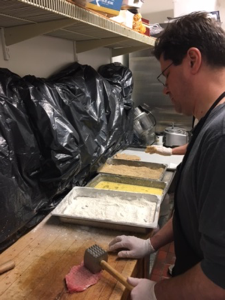 All are sure to enjoy the schnitzel that is prepared by members of the choir according to tradition: a choice cut of pork that's hammered thin, breaded with a special coating and then deep fried to a crispy golden brown. This is not to be missed! Side dishes and a small salad are also lovingly prepared and included with the price of each meal. 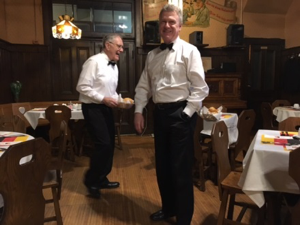 The Schnitzel Fundraising Dinner is a great way to meet the singers, as they strive to create Gemütlichkeit for our guests. The singers always enjoy this event, and we hope that we will have plenty of hungry customers. The highlight of the Fall season will be our 163rd Anniversary Concert, which is free for members and their guests. This year's concert will be held on Sunday evening, November 12th at 4pm. This concert event is a glimpse into the true history of Teutonia, and promises to be memorable. We request that all concert guests follow the club’s Upstairs Dress code, so please be advised and make sure to also inform your guests in advance to avoid any issues. The singers have been diligently rehearsing for months so that we will be able to fill the hall with beautiful choral music. The concert program also includes invited guests from the Schweizer Männerchor Helvetia of Allegheny City, Bloomfield Liedertafel, and the Kinder/Jugend choir. Tables will be reserved for performing groups, with open seating for non-performers. Directly after the concert, a buffet dinner will be available downstairs for $18.95. Please join us for the concert, and stay for a nice meal afterward. It's quite a powerful and moving experience to hear choral music in person, performed in our beloved Teutonia Sängerhalle. There will certainly be hearts filled with Gemuetlichkeit as our choir and guest performers present a stirring mix of vocal performances. As members of Teutonia, we are the fortunate benefactors of the efforts of those who have come before us and we are the protectors of our rich cultural heritage for those who will follow. 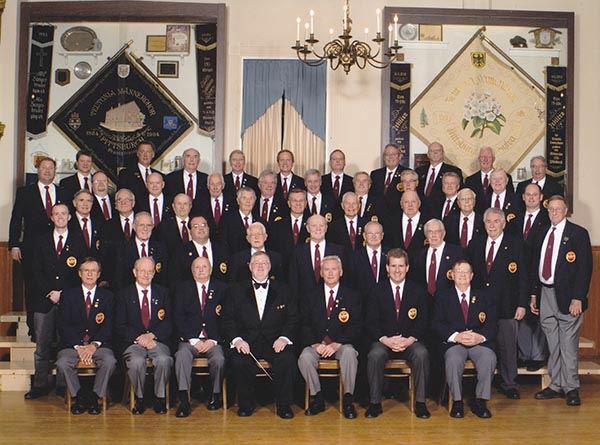 Each of us chose a mandate to support choral singing upon joining the club, and has accepted the mission to preserve Germanic cultural traditions. We all benefit so much from the opportunity to be part of the Gemütlichkeit which makes Teutonia such a special place. Thank you to everyone who embraces this calling. We look very much forward to enjoying ourselves in November and beyond! Singer birthdays for November include: Claudia Straub (11/5), Suzanne Stahovec (11/7), Jennifer Palmer (11/13), Peter Schurig (11/19) Henry Sauer (11/27), and Marina Majewski (11/28). Alles Gute zum Geburtstag!